It's getting colder outside, and the best way to keep your feet warm (and stylish) is by wearing cute cozy slipper socks! 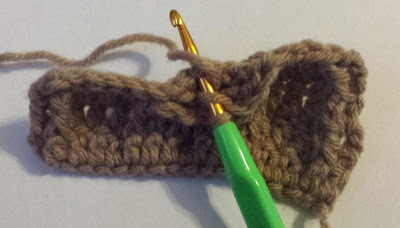 I love the texture and the color of these crochet socks, along with that pretty crochet flower and button, it adds a little bit more interest to the design. 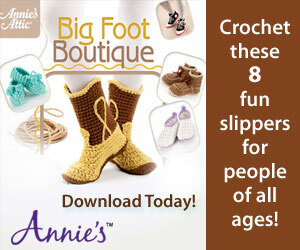 These also make a great Christmas gift! This pretty hat caught my eye right away! 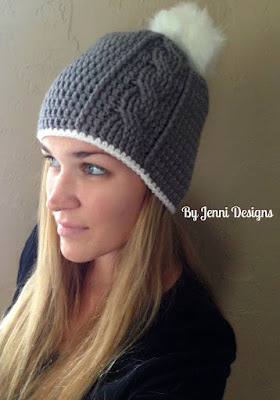 Of course, mainly because I love anything grey, white, and black, but secondly, the style of the hat. It uses clean lines, textured cables, and the addition of the cute fur pom pom. 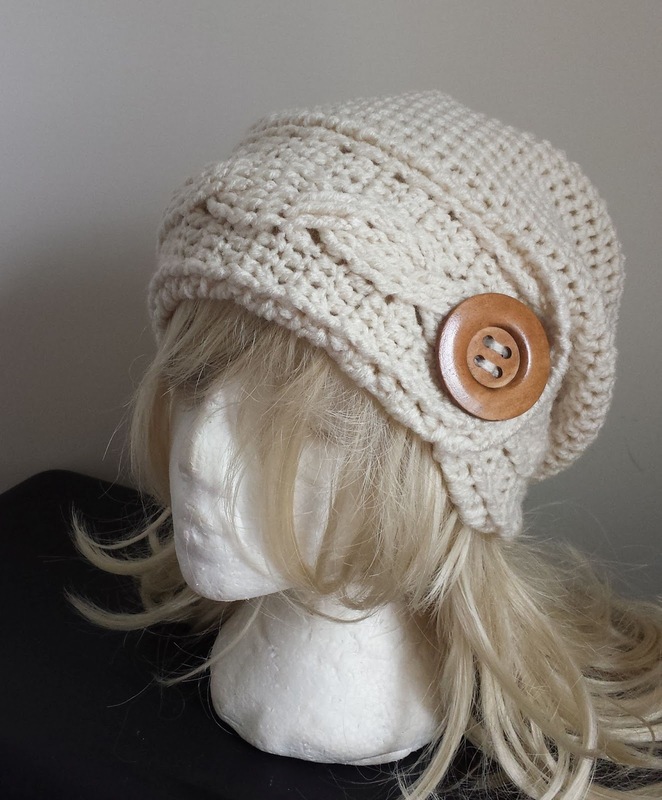 The designer has written this pattern to include two variations, a fitted beanie, and a slouch hat. I am going to give this one a try! I've been seeing a knitted version of this all over social media lately, which is a pattern by Heidi May, in her shop, The Velvet Acorn. (Her patterns make me want to learn to knit, they are beautiful!) 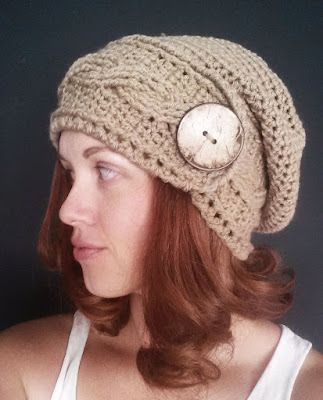 Today, I found this beauty of a crochet version, so get out your hooks and get to it! 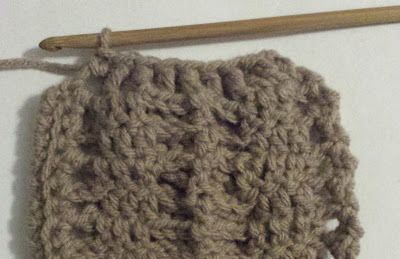 It has it's differences from the knit poncho, for example the ribbing all along the edges, but the basic concept is about the same. 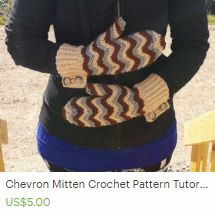 This designer also has a child's version of the pattern. 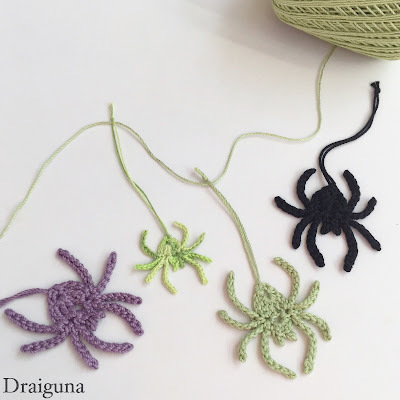 If you're still looking for some quick Halloween inspired decorating, here's a super easy pattern for cute little colorful spiders! This pattern includes a full photo tutorial, as well as written instructions. Hang them in your window, on your stairs, crawling out of a jar, turn them into jewelry... so many possibilities! Also, a stash buster! Row 1: Dc in 4th ch from hook, dc in next 15 chs. Row 2: Ch3 (counts as 1dc), turn; fpdc over next st, dc in next 3 sts, fpdc over next 3 sts, dc in next st, fpdc over next 3 sts, dc in next 3 sts, fpdc over next st, dc in last st.
Row 3: Ch3 (counts as 1dc), turn; bpdc over 1st post st, dc in next 3 sts, bpdc over next 3 post sts, dc in next st, bpdc over next 3 post sts, dc in next 3 sts, bpdc over next post st, dc in last st.
Row 4: (CABLE ST) ch3 (counts as 1dc), turn; fpdc over 1st post st, dc in next 2 sts, dc2tog over next 2 sts,(note: to close gap) skip over first 3 post sts and the 1dc- fpdtr over next 3 post sts, dc back in skipped dc, fpdtr in first 3 skipped posts, dc2tog over top of last post st and next st, dc in next 2 sts, fpdc over next post st, dc in last st.
Help Note: dc2tog over the next dc and the next "post st" but not working over the post, but into the actual stitch. 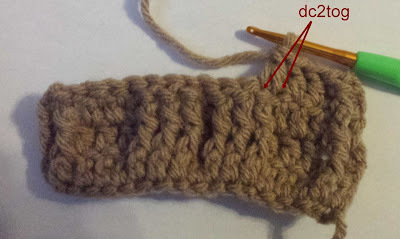 This dc stitch will be worked again in the cable, but over the post next time. 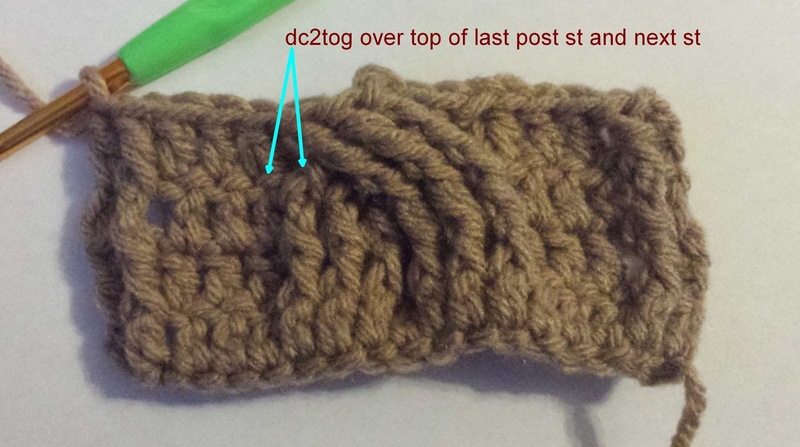 Help Note: The "top of last post st" means to crochet into the actual stitch, not the post of the stitch (which was already worked in the cable) this stitch gets worked twice, over the post in the cable, and in the actual stitch as part of the dc2tog. Row 5: Ch3 (counts as 1dc), turn; bpdc over 1st post st, dc in next 3 sts, bpdc over next 3 post sts, dc in next st, bpdc over next 3 post sts, dc in next 3 sts, bpdc over next post st, dc in last st.
Row 6: Ch3 (counts as 1dc), turn; fpdc over 1st post st, dc in next 3 sts, fpdc over next 3 post sts, dc in next st, fpdc over next 3 post sts, dc in next 3 sts, fpdc over next post st, dc in last st.
Row 7: Ch3 (counts as 1dc), turn; bpdc over 1st post st, dc in next 3 sts, bpdc over next 3 post sts, dc in next st, bpdc over next 3 post sts, dc in next 3 sts, bpdc over next post st, dc in last st.
Row 52: Ch1, turn; sc2tog, sc in next 3 sts, fpsc2tog, fpsc over next 3 sts, fpsc2tog, sc in next 3 sts, sc2tog. Row 53: Ch1, turn; (sc2tog) 3 times, sc in next st, (sc2tog) 3 times. 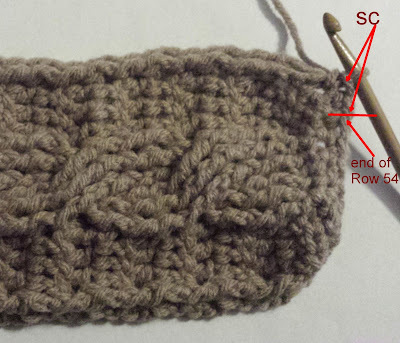 Row 54: Ch1, turn; sc2tog, sc in next 3 sts, sc2tog. DO NOT FASTEN OFF! continue up edge..... ch1, turn (wrong side facing) (skip next st, bpsc over next st) 8 times, sl st in 1st rsc loop. DO NOT FASTEN OFF! Rnd 1: Turn; fold band over, right side facing, and begin in 1st back loop of the rsc sts, sc in next 70 sts. do not join. Rnds 3-12: hdc in next 80 sts. do not join. Fasten off! Sew in ends. 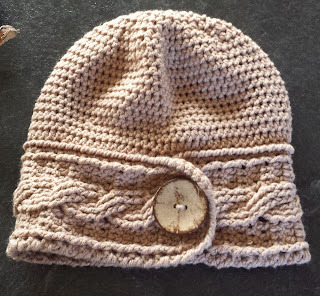 Sew large button onto headband of hat with the very beginning tail of yarn. 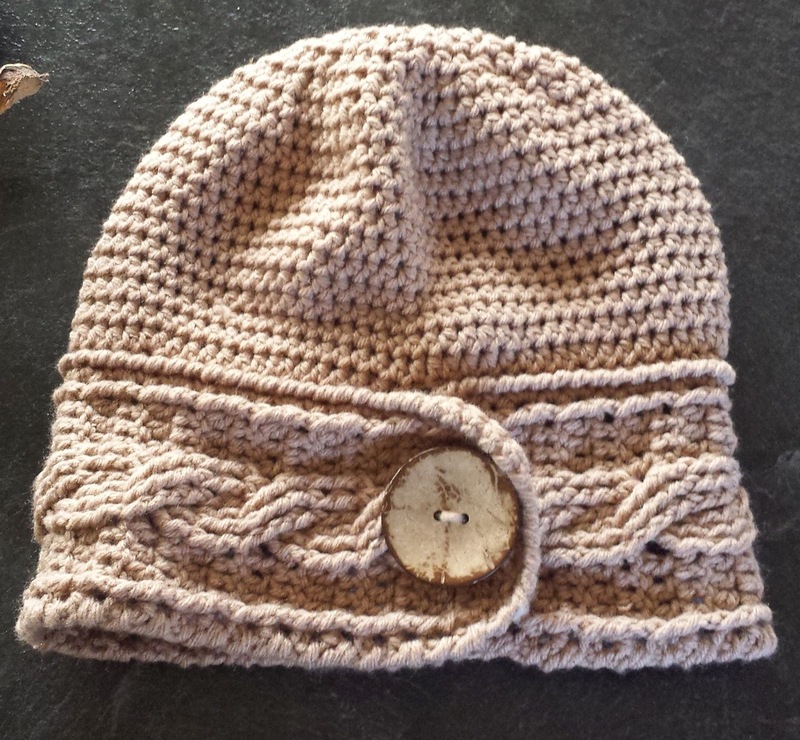 *Note: The button is purely decorative, it does not fasten into a hole. 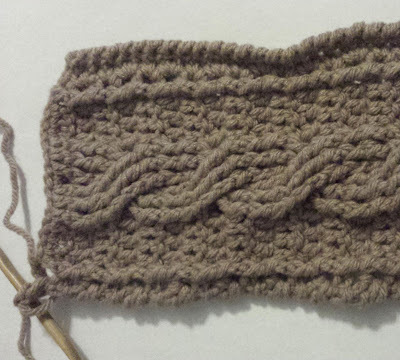 I absolutely love the crocodile stitch, and if you haven't tried it yet, you are missing out! The great part is, though it looks difficult, it's really not! Bonita Designs is a designer who has mastered this stitch along with creating the most beautiful crocodile stitch patterns, you've probably already seen some of their work. Now, check out this hood! The design is just enough to give a big impact without overdoing it. I love the mix of textures. 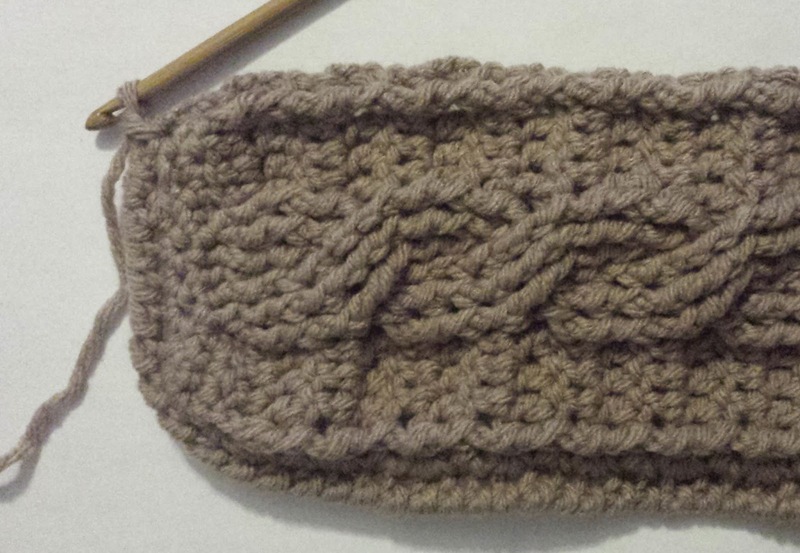 This beautiful crochet cowl pattern comes to you as part of a 12 Weeks of Christmas CAL, via Pattern Paradise. 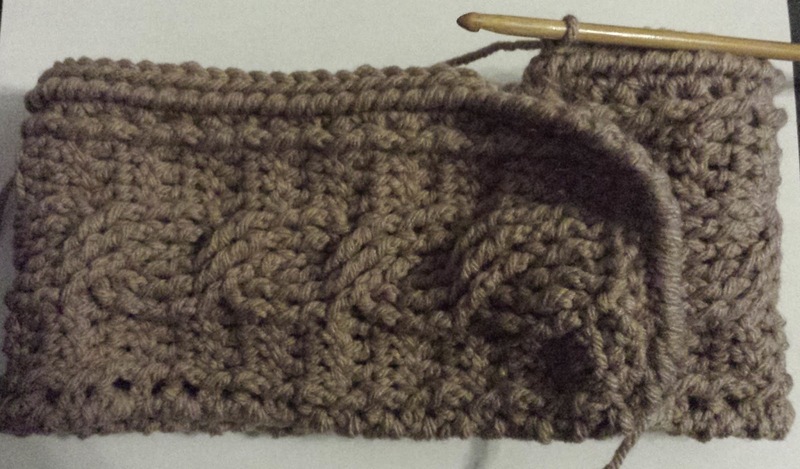 Cowls always look stunning, and they're easier to wear than a bulky scarf, yet keep you warm from the elements. I also love this yarn! 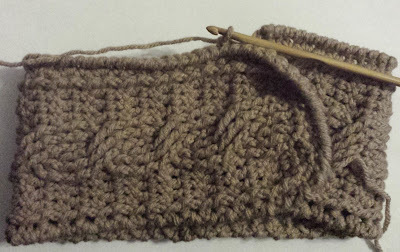 Red Heart's Boutique Unforgettable yarns are perfect for creating a multi-color piece, and I really enjoy working with them. 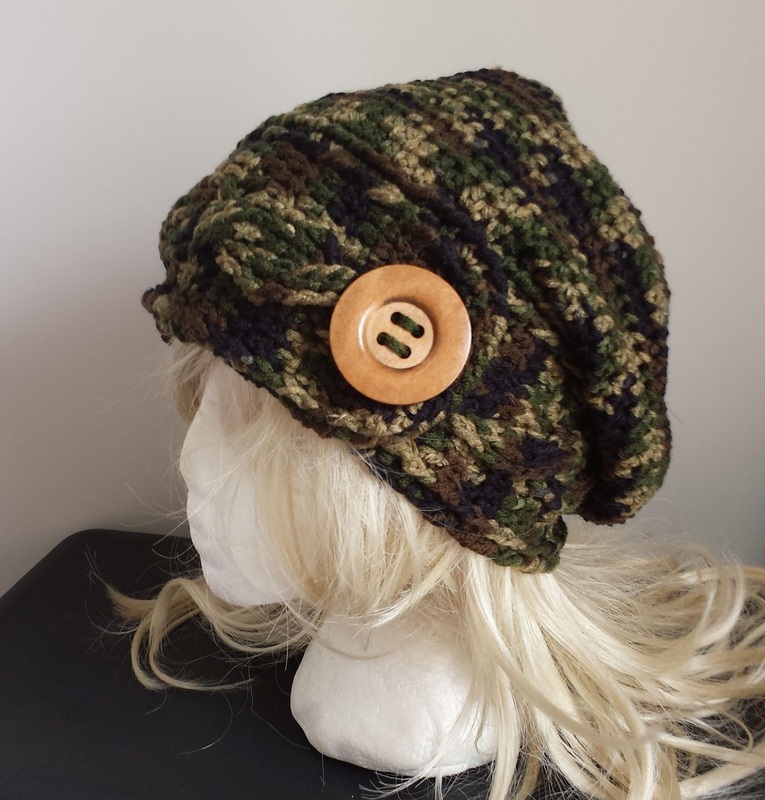 Here's a cute hat to make this season! I really enjoy the pom poms on the back of this hat, it's a fun feature. 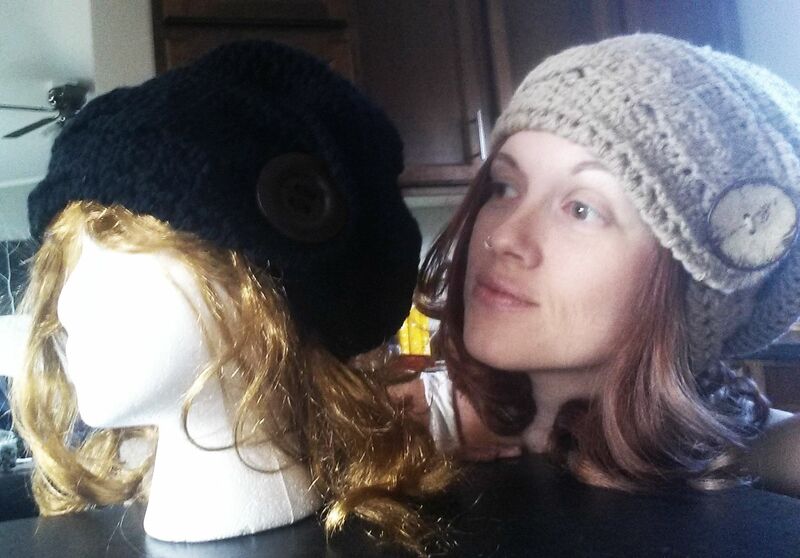 The slouch hat is still dominating hat trends, and this one uses a vertical ribbing technique by crocheting in rows and cinched together. This crochet hat pattern is available as a video tutorial and includes a pdf written pattern. 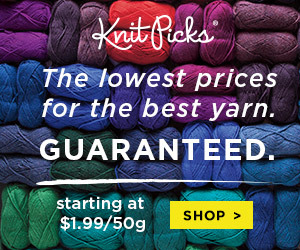 Red Heart Boutique Gleam, 160 yards; soft worsted weight yarn. 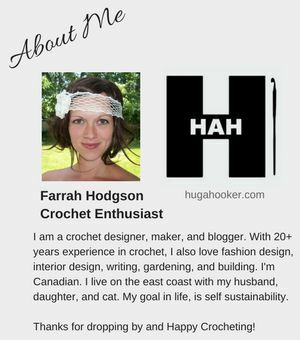 When I think of crochet cat ears, I immediately think that it's been done over and over, that is... until I found this! 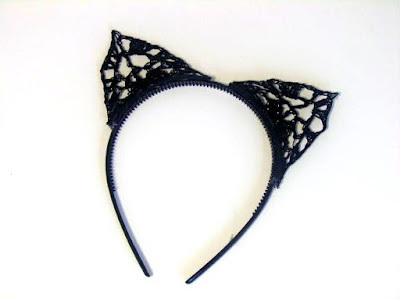 These lacy cat ear are so cute! 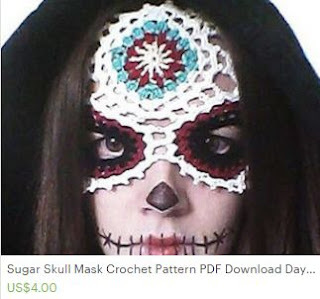 This is a simple, yet unique idea for this upcoming Halloween. 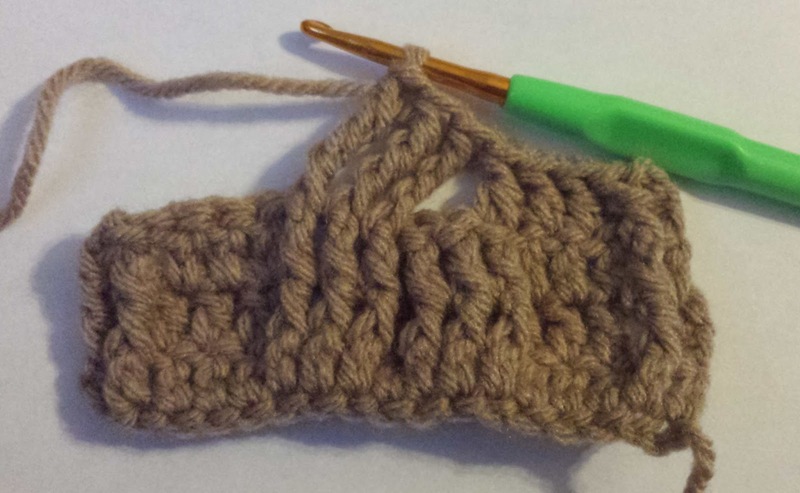 Grab some worsted weight yarn and a crochet hook, because these crochet headbands are adorable! 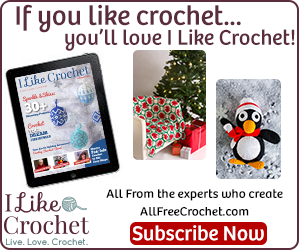 This tutorial is a great introduction to tapestry crochet, and results in something cute for everyone. Sized from toddler to adult, you will have no problem making several of these. I especially love the bat! Happy belated fall! Now that the heat wave (in my part of the world!) has ended, it really is starting to look and feel like fall. It almost seems like the leaves have changed color over night! 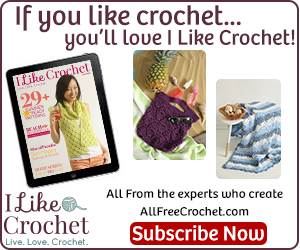 Here's a great pattern to celebrate fall; these super easy and cute crochet maple leaves are quick to work up and look beautiful in any color. 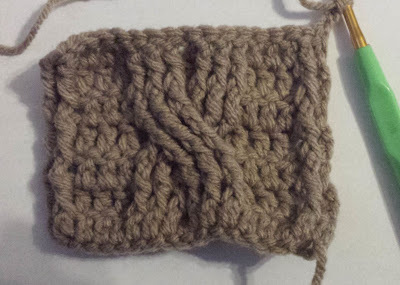 The designer has written a great tutorial and includes photos. 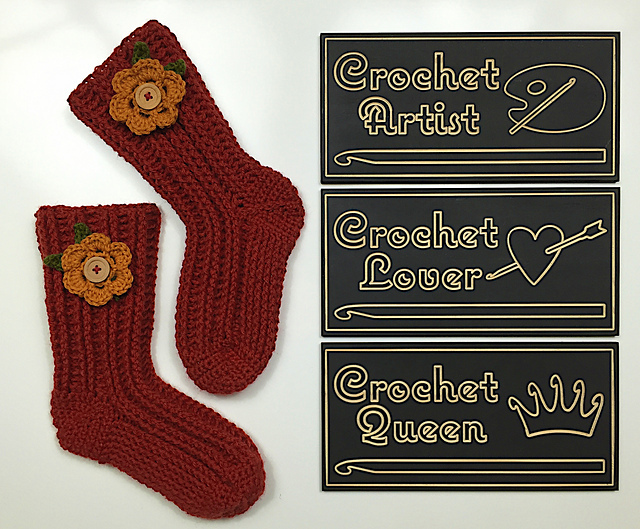 These leaves could be uses for so many projects such as coasters, garlands, appliques, etc.